Finance Minister Bill Morneau says his budget will provide support for journalism. It won’t. It will only provide demise-delaying bailouts for badly managed media corporations. There are better ways. 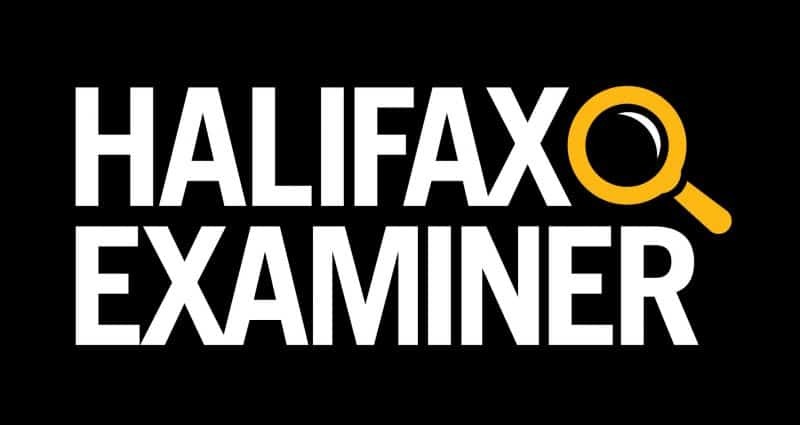 This column first appeared in the Halifax Examiner March 25, 2019. But, as usual, the corporatist devil inevitably lurks in the budget weeds close to the surface of Ottawa’s benignly aspirational generalities — camouflaged and eager to feast. I have no problem with the third bullet. I’m not sure it will make a huge difference, but it does put the enticement/benefit onus directly on consumers of news. Like the political tax credit, it allows us, as citizens, to choose to support with our subscription dollars particular flavours of public good and benefit from that on our tax returns. The other two bullets, however, do give me pause, and make me wonder who, rather than what, the government is really trying to support. What is clear from what we know about those criteria so far is they were written to ensure that Postmedia Network — the falling, flailing, merged, mashed-up media conglomerate largely owned by American creditors who control (without officially controlling) the company while making a profitable meal by picking at its bones — will qualify for government cash. And we know without being told that those criteria have been precisely crafted to accomplish that end. While it is fair to argue Postmedia mostly merged and mismanaged its way to its own peculiar disaster, it is also certainly legitimate to make the point that all legacy print media are in desperate trouble, much of it not of their own making. Some of it, of course, is self-inflicted but very little of any of that will be more-than-temporarily resolved by government bailout. The question really is whether the government should help delay their inevitable demise, or provide support for newly emerging media. Or…? We know from Tim Bousquet’s “best guesses” Friday that his competitors — the Chronicle Herald and its Saltwire Network ($1.375 million), allnovascotia.com ($178,750) and the Star Metro division of Torstar ($41,250) — will all qualify to benefit from the government’s new deal for Canadian journalism. That’s partly because the Examiner, like many digital news start-ups in the country, is owned by its creator-\publisher, who is also the publication’s elbows-on primary reporter and most everything else. Jennifer Henderson, El Jones, Linda Pannozza, Evelyn White, Philip Moscowitz, Erica Butler, Joan Baxter and me, among others — all paid freelancers providing “content” to the Examiner — don’t count. So if the government’s real goal supposedly is to support journalism — and journalists produce journalism — why not start at the other end of the funnel and channel government funding to creators instead of purveyors at a time when there are few jobs for journalists but the financial barriers to “publishing” itself have become almost non-existent? There is a tried-and-true model for this already. The Canada Council has been around since 1957. It allows writers and artists to apply directly to the council for funding for their creative projects. Independent panels of their peers make funding decisions. The writers are then free to sell their finished work to publishers. The process has helped support — and expand the market for — generations of Canada’s creative artists and writers. This might not work in all situations, but I can see it being especially effective for investigative and long-form journalism, as well as to fund ongoing coverage of local institutions like city councils and school boards, or topics like urban development or climate change. It would be a start, and a better investment than propping up Postmedia.